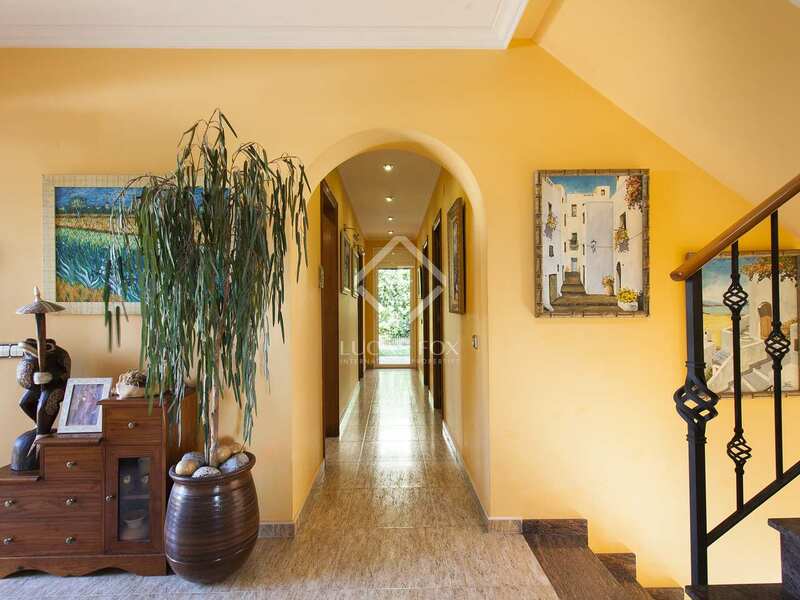 This well appointed family home was built in 2000 and is presented in very good condition, situated on a rectangular plot of approximately 450 m² with greenery and a variety of centenary trees. 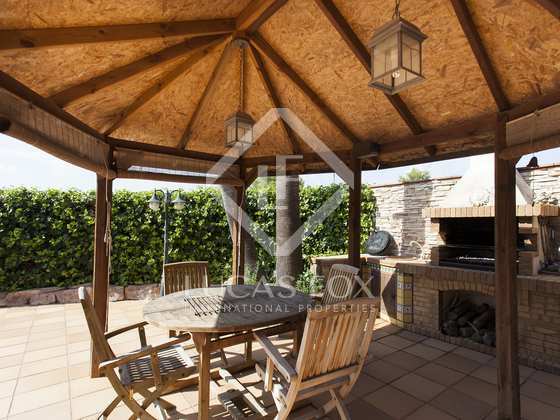 It also offers a swimming pool and a barbecue next to a dining table under a pergola, ideal for summer family reunions. 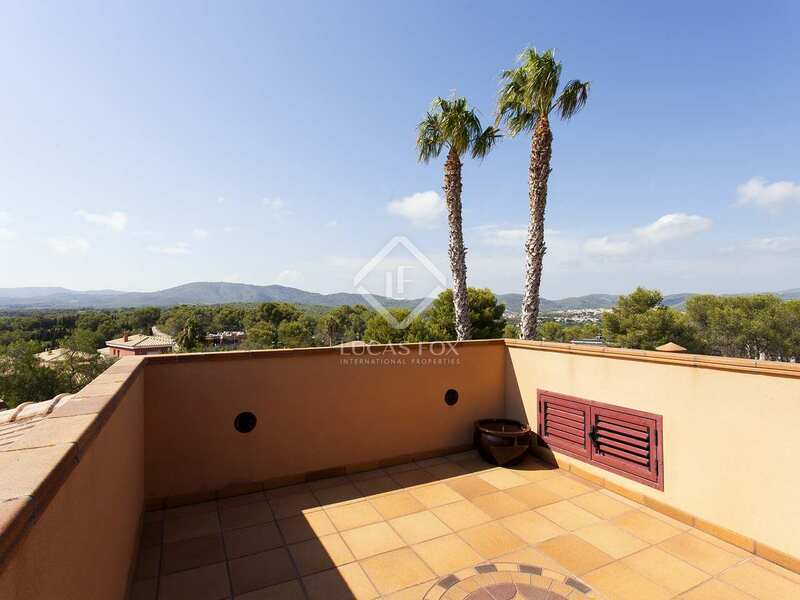 The ground floor has a hall leading to the living room with a terrace and pleasant views of the exterior, to the spacious equipped kitchen and to the 3 double bedrooms, 1 with a private bathroom and the other 2 with a shared bathroom. 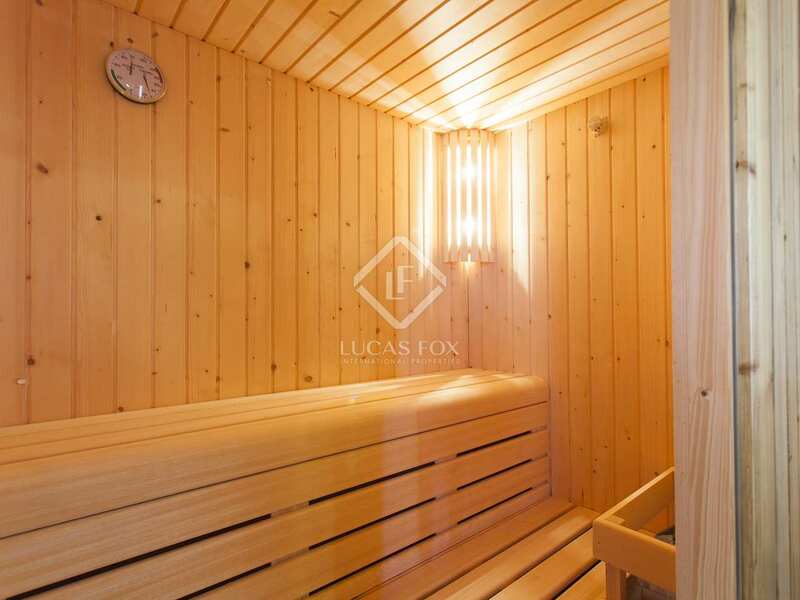 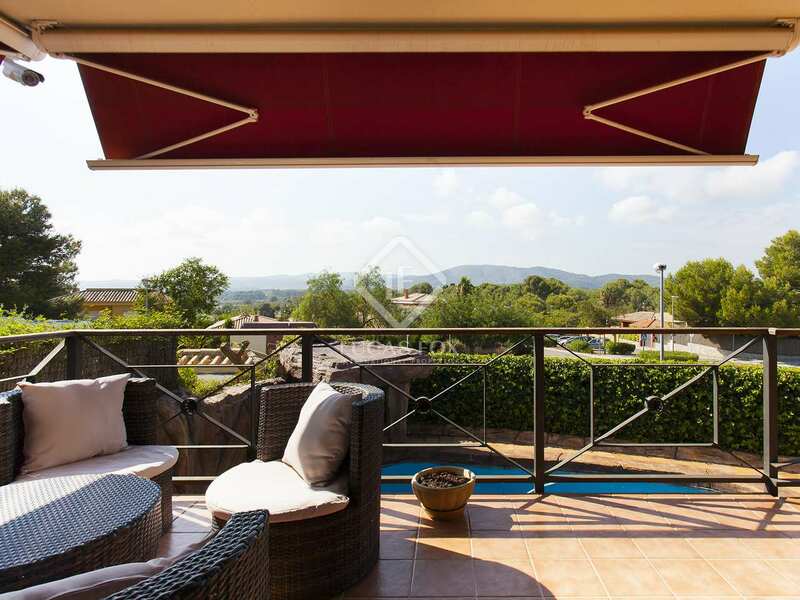 The first floor houses the main suite of 60 m², with its terrace, dressing room and a large bathroom with sauna and another bedroom with another terrace and excellent views. 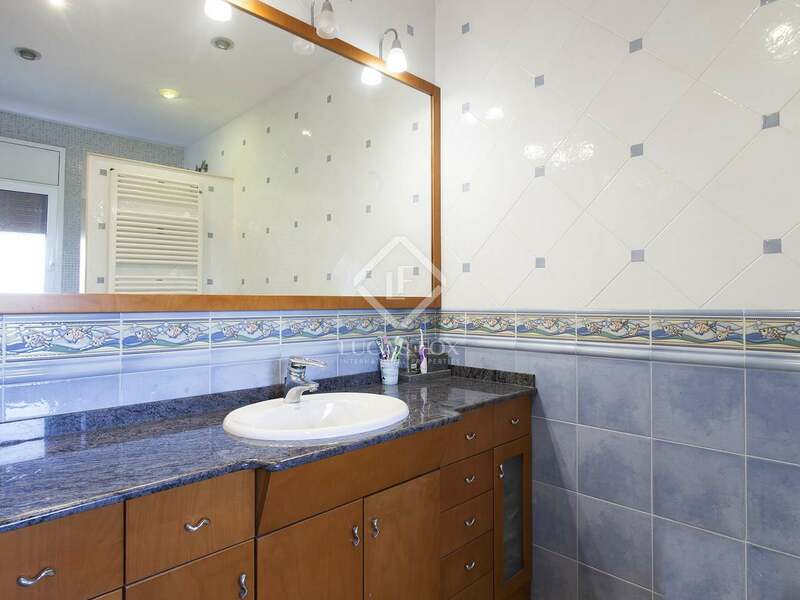 The basement has a storage room and 2 parking spaces. 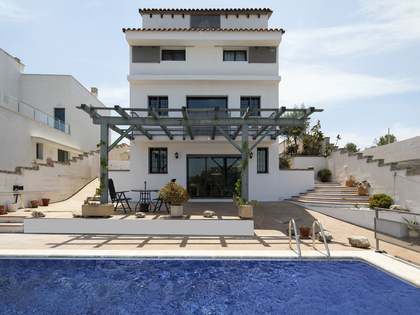 Additional features of this property include the IPE wooden security entrance door, high quality Andalusian handmade decorative leaded windows, automatic blinds and awnings, the swimming pool with remote controlled led lighting and hydromassage system and the filter for the cleaning system with active oxygen and ultraviolet light. 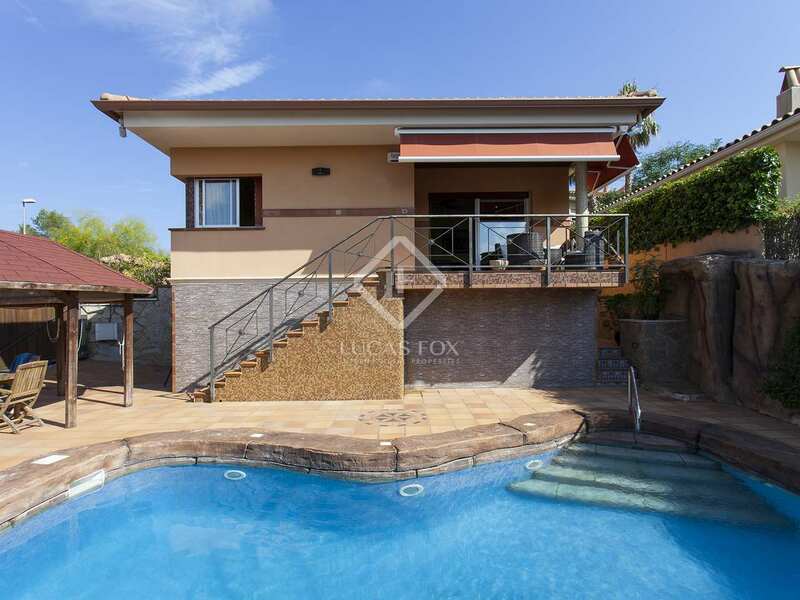 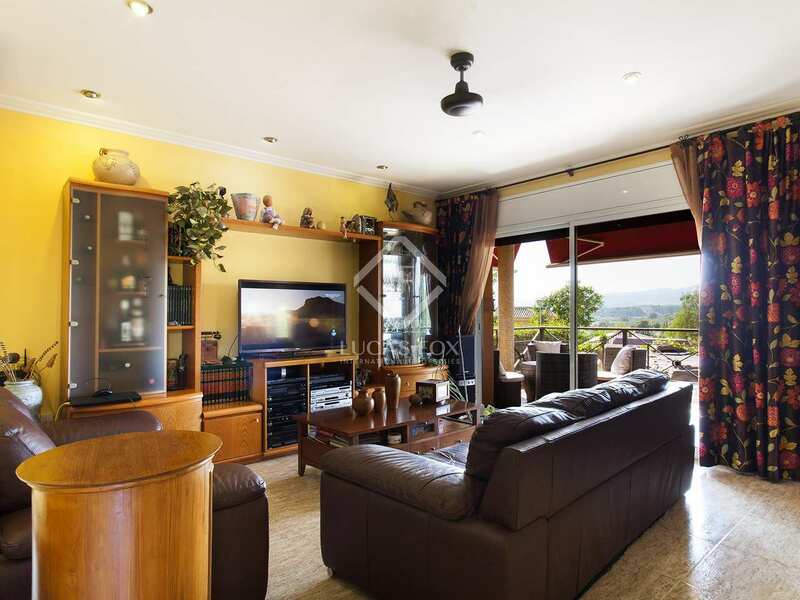 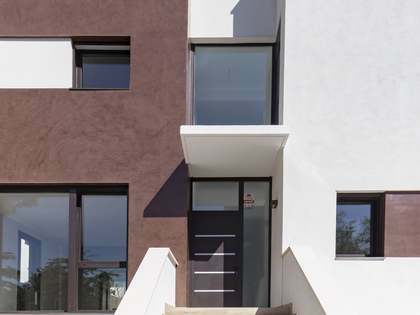 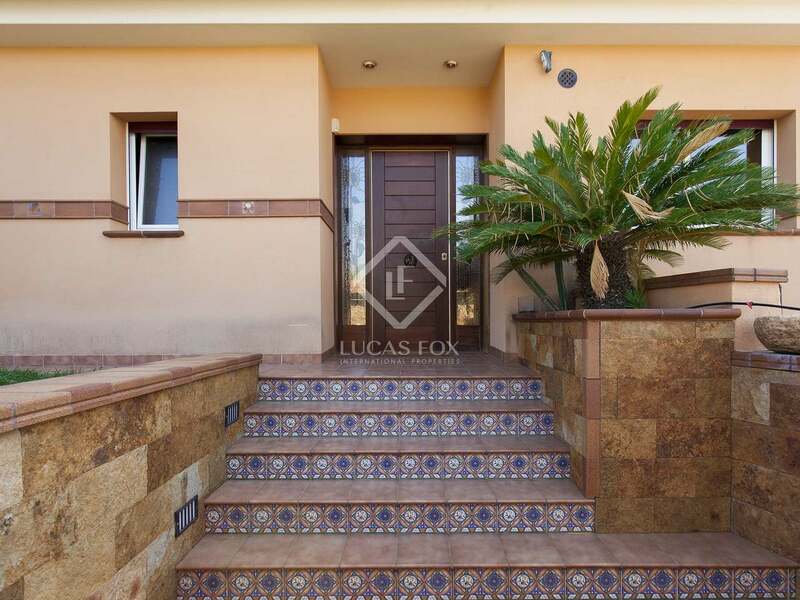 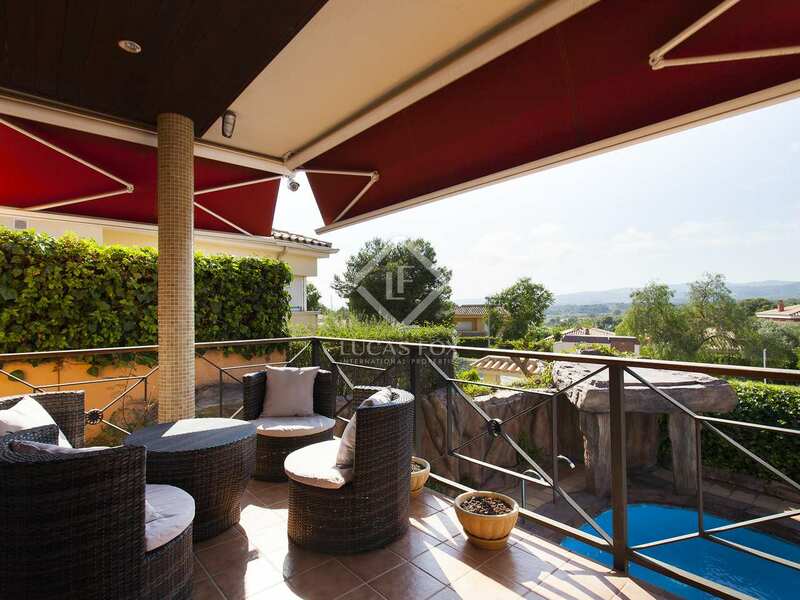 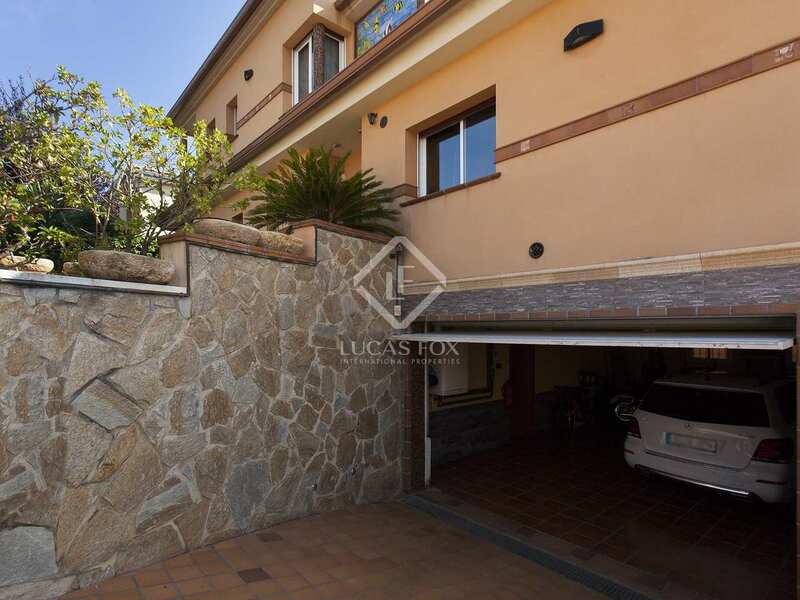 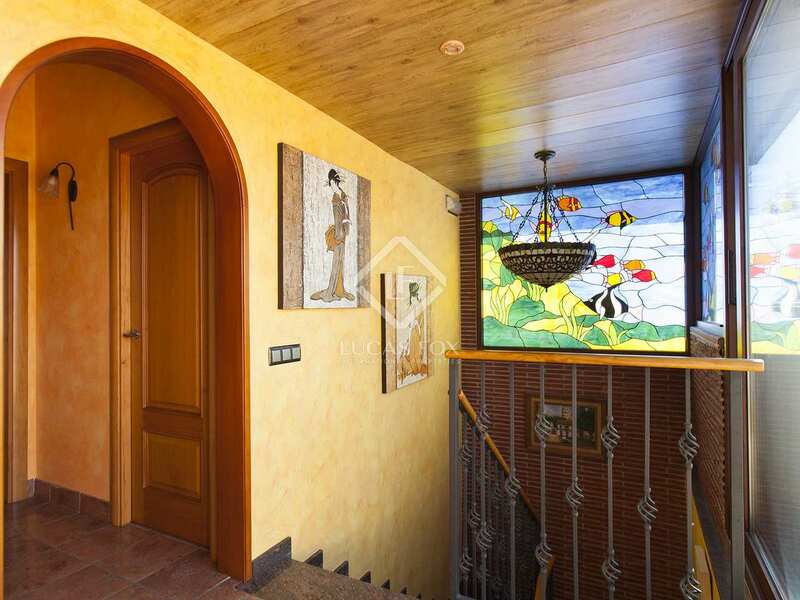 In short, a well maintained villa with good outdoor space and quality finishes in a peaceful yet well connected residential area of Sitges. 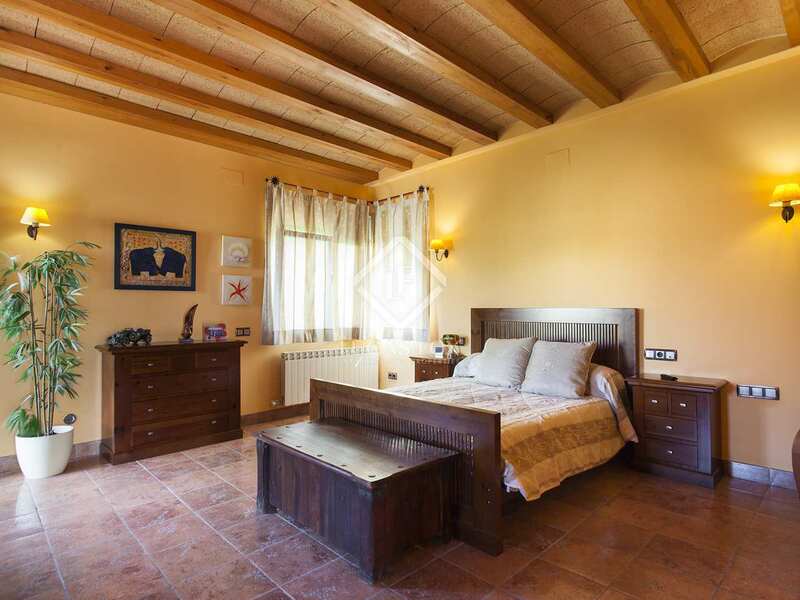 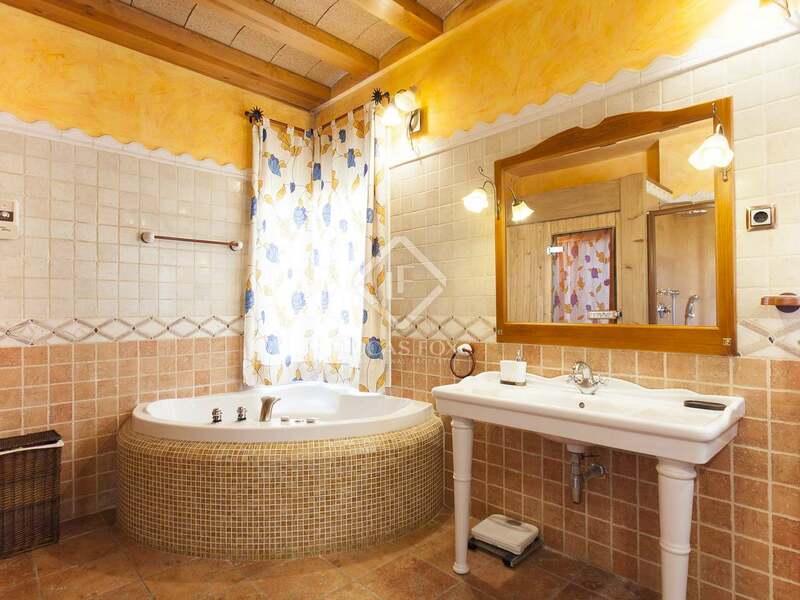 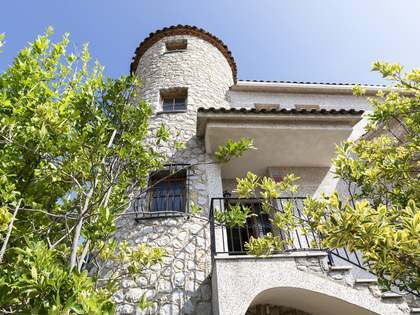 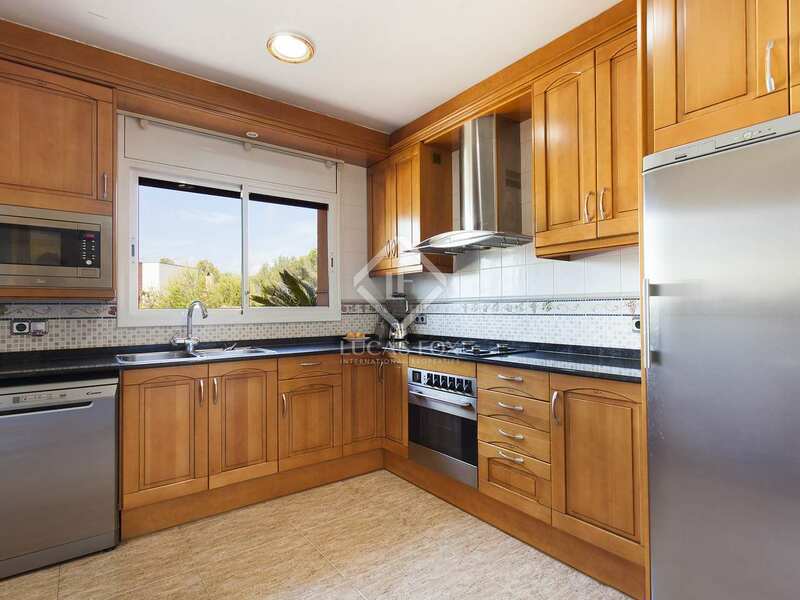 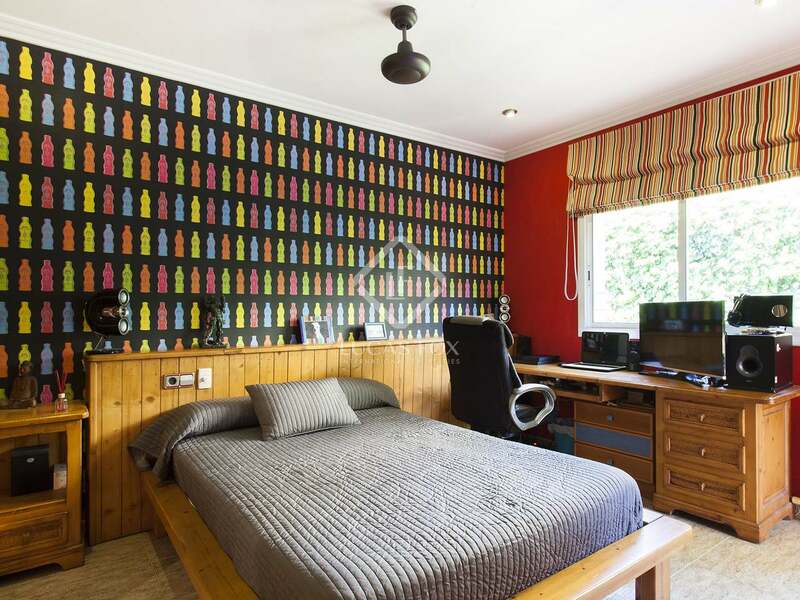 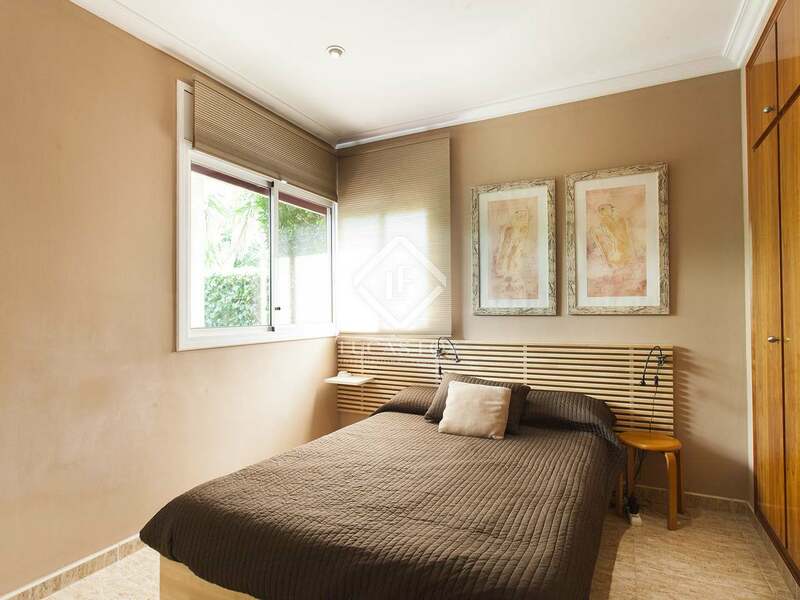 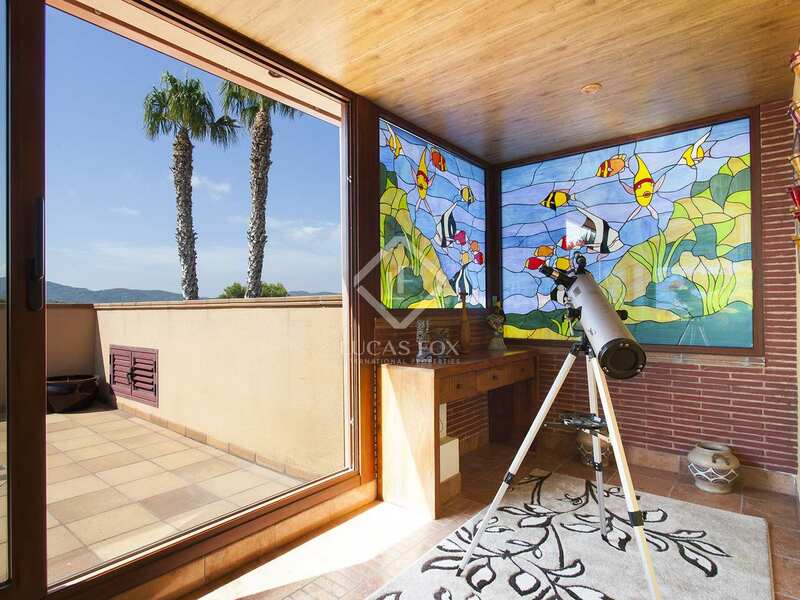 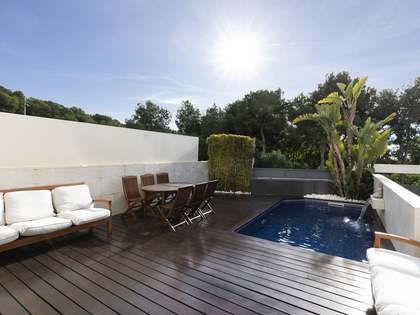 Property located in the residential area Els Cards, 5 minutes' drive from Sitges. 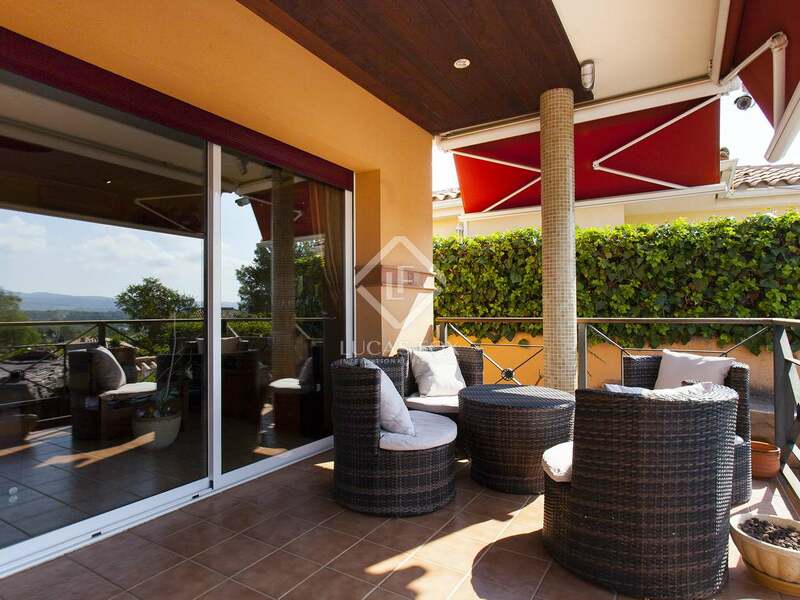 Walking distance from International schools (French and English), a shopping area and a variety of restaurants.